An exceptional keynote speaker understands the power they hold while on stage, and therefore, understands the responsibility when speaking on stage to the audience. This means they should be prepared prior to the presentation and be ready to answer any questions that are asked. By being onstage, they have the authority and credibility to make statements throughout their speech, and the information provided should be organized and also engaging. Because the client is making an investment in a speaker’s presentation for their event, a great speaker engages the crowd and is able to read and connect with them. Being able to resonate with the audience is how a thought leader leaves an impact on them. An exceptional speech will affect both audience members emotionally and intellectually and can be a call-to-action that inspires them to make a positive change. Newt Gingrich: One of the world’s foremost economic, social, political and security-focused conservative thinkers, Newt Gingrich, delivers both insight and clarity on the global atmosphere. A great keynote speaker should be dynamic and able to adapt to different audiences and environments, which Speaker Gingrich does seamlessly. 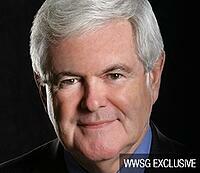 Speaker Gingrich has published 36 fiction and nonfiction books including 15 New York Times bestsellers. His unquenchable thirst for knowledge enables him to share unique and unparalleled insights on a wide range of topics. Audiences of all shapes, sizes and views will leave feeling both informed and enlightened. Carly Fiorina: With a career spanning from Secretary to CEO, Carly Fiorina has had the experience with both successes and failures to deliver powerful, practical presentations to audiences worldwide. Fiorina’s finesse and fortitude engrosses audiences, and her far-reaching knowledge and experience equips her with the preparedness to take on anything thrown her way. She is a trailblazer and great keynote speaker, who can draw on her unrivaled insights she has gained throughout her life as a leader. Nancy Frates: Nancy Frates has been impacting lives all over the world since her help championing the “ALS Ice Bucket Challenge.” Driven by the unacceptability of her son’s prognosis, she utilized her business acumen, communication skills and mama bear drive help the fight against ALS. She continues to have just as much of an effect through her work with the ALS Community and as a keynote speaker. A great speaker will inspire and instill passion in their audience, and Nancy is one of the most successful in that regard. Her speeches as well as the influence she has on her audiences do nothing short of help change the world. Paul Nicklen: Renowned for bringing the most arctic and imperative stories to life, Paul Nicklen also understands the power he possesses while onstage. With his acclaimed images of the Arctic and some of Earth’s most stunning isolated regions, Nicklen has been able to found his own conservation society: SeaLegacy. 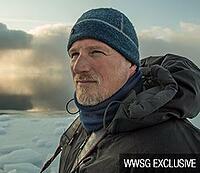 His advocacy for the Arctic is what drives his passion: protecting the polar landscape through photography. Nicklen has the power to make a positive imprint on his audiences and change their perspectives. A great speaker will do just that and leave the audience affected both emotionally and cerebrally. 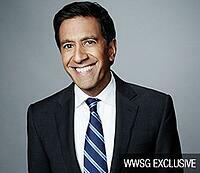 Sanjay Gupta: Sanjay Gupta is a dedicated global journalist, physician and thought leader, who works to inspire and educate Americans to lead healthier, more well-informed lives. With his unique position as someone who has worked in medicine and media, Dr. Gupta is one of the most capable and respectable voices on health and world events. A great keynote speaker will make the crowd think and assess their lives. Dr. Gupta’s presentation engages the entire room and leaves every audience evaluating and reflecting on their role in both a global and personal perspective. 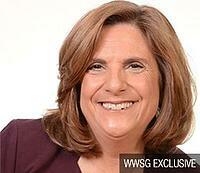 These WWSG thought leaders provide unmatched value to an event. A great speaker, whether motivational, political, or educational, is indispensable to a successful event. Audience members will always remember the great advice, quotes, or the way they felt inspired after hearing an excellent keynote speaker. To find more great keynote speakers for your next event, you should check out our interactive Speaker Flowchart! It helps people find the right speaker for their budget, audience, location, and more. Click here to get started.